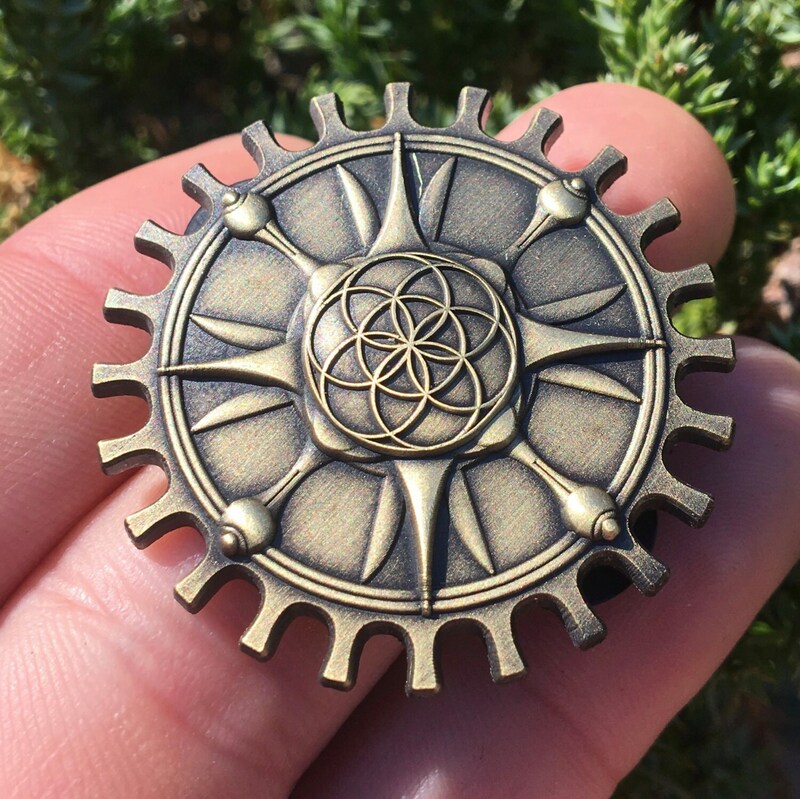 Steam Punk Seed Of Life Gear Pin. 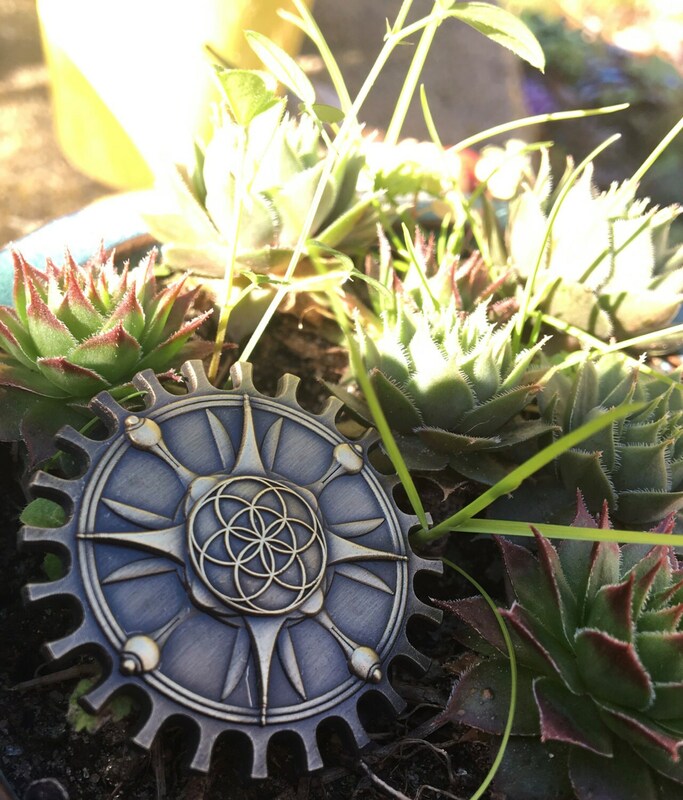 Original Art By Rachel Blasi For Enlighten Clothing Co.
1.5 inch double backed hat pin designed by Artist Rachel Blasi. 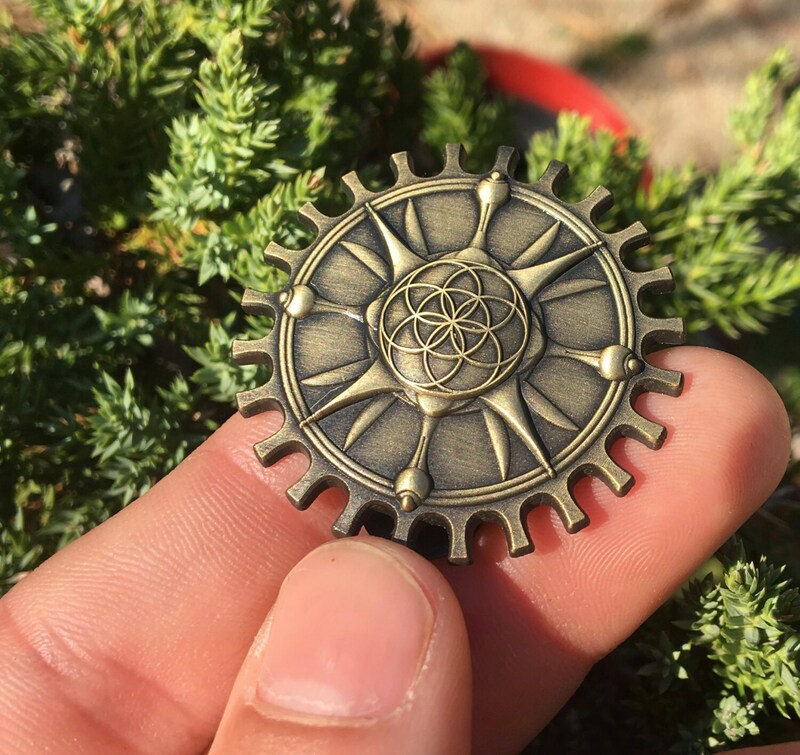 This pin features the seed of life inside a gear in an almost 3 dimensional form. 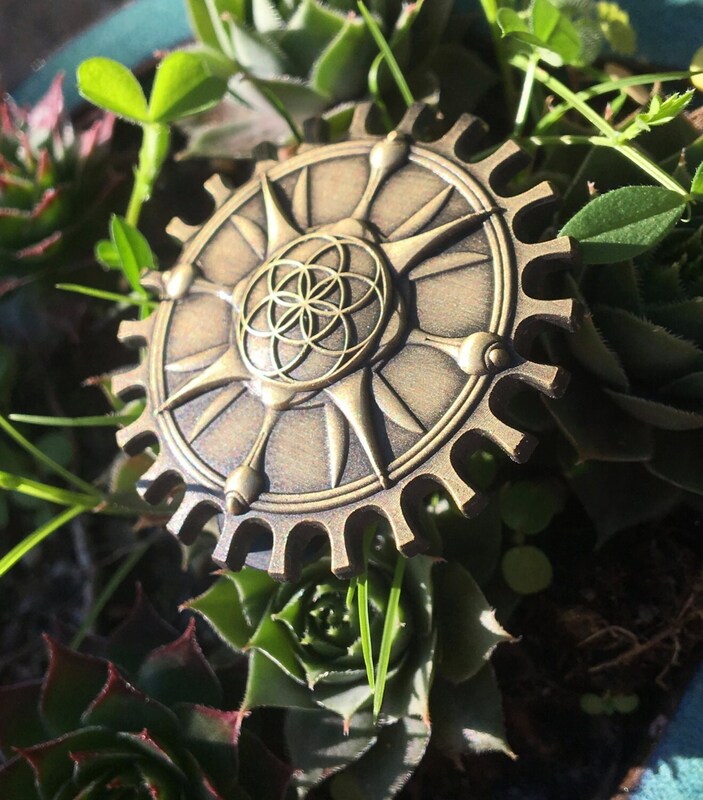 Made from a nickel alloy with an antique gold finish. Numbered and stamped. 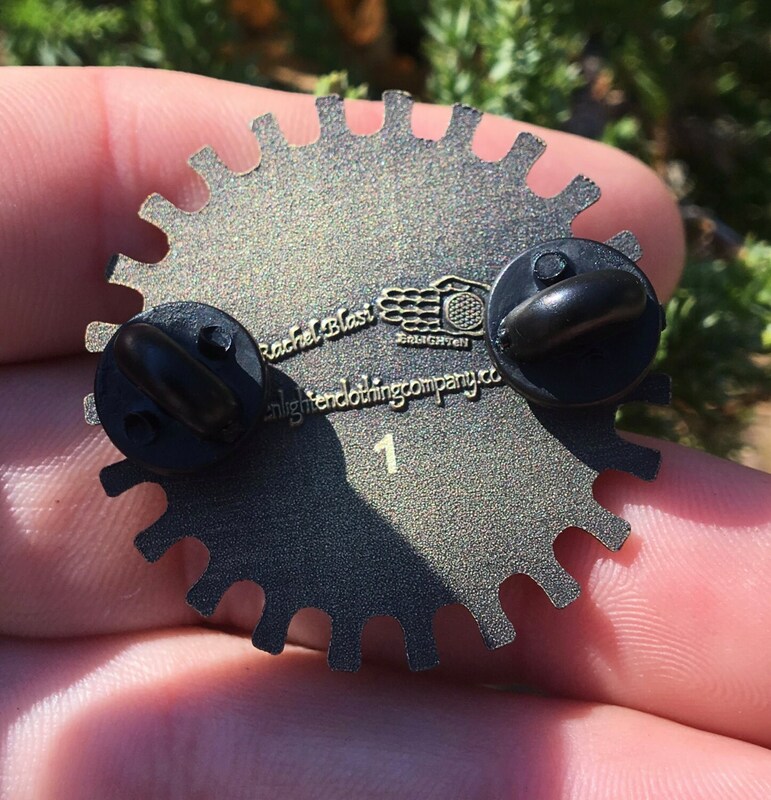 This is a hand drawn design by 2016 sponsored artist Rachel Blasi!